1957 Mercedes 190SL for sale.Good condition body and engine. 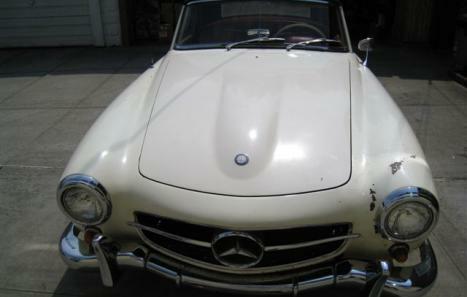 Cheaper than other and very negotiable.1957 Mercedes Benz 190SL Roadster which has been in a storage for many years.This is a superb car to restore!! !The car has a very solid body and will make an amazing car. It has some very minimal rust and also this car does have its original grille and lights and it has a Becker Europa Radio. It still remains with its 121 engine. The engine runs.The instruments are all original and correct. This '57 190SL is a rare find, they are becoming harder and harder to find. Just email me at ardyans@gmx.com for more info.